The Seattle Police Foundation promotes strategies that support the Department’s mission of excellence by supporting employee professional development and recognition. Funds support the Annual Awards Banquet, where police officers and civilians are publicly recognized for bravery, valor, and for going above and beyond the call of duty on a daily basis. Since 2005, SPF funds have supported SPD’s Hospital Response Team that provide care to families when officers are hospitalized or killed in the line of duty, Critical Incident Stress Management Training, and SPD’s Family Support Group provides much needed support for new officers and their families. SPF additionally provides funds to the Department to assist SPD employees in obtaining education or training in subjects and fields that are directly related to their job, increase effectiveness in their work, and prepare for career advancement within SPD. Every Fall we have the opportunity to honor the sworn and civilian members of the Seattle Police Department for going above and beyond the call of duty to keep our community safe. Seattle Police Foundation funds supported the 2015 Northwest Regional ICAC Conference, providing highly specialized training for law enforcement investigators, digital forensic examiners, and prosecutors, and was focused on technology-facilitated crimes against children. f sergeant on up with tailored training opportunities. SPD Peer Support hosts an annual one-day training seminar open to employees and adult family members. This is a day just for police officers and family, away from the demands of their jobs. 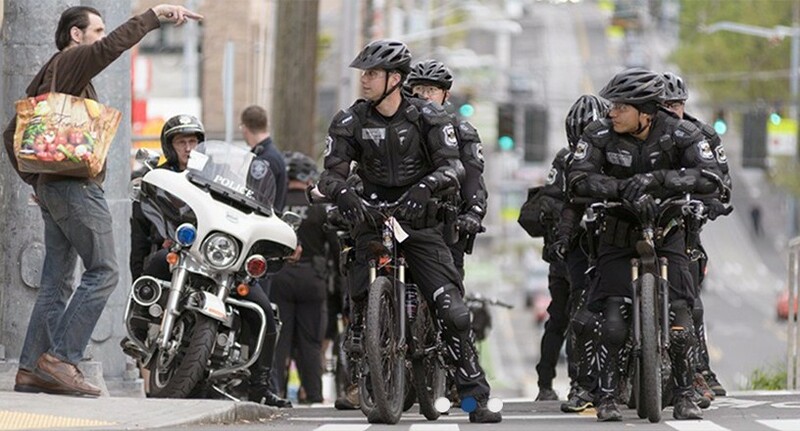 In 2015, SPF was proud to financially support safer bicycle helmets and specialized crowd management training for SPD’s Bike Squads. These funds supported both officer and public safety.